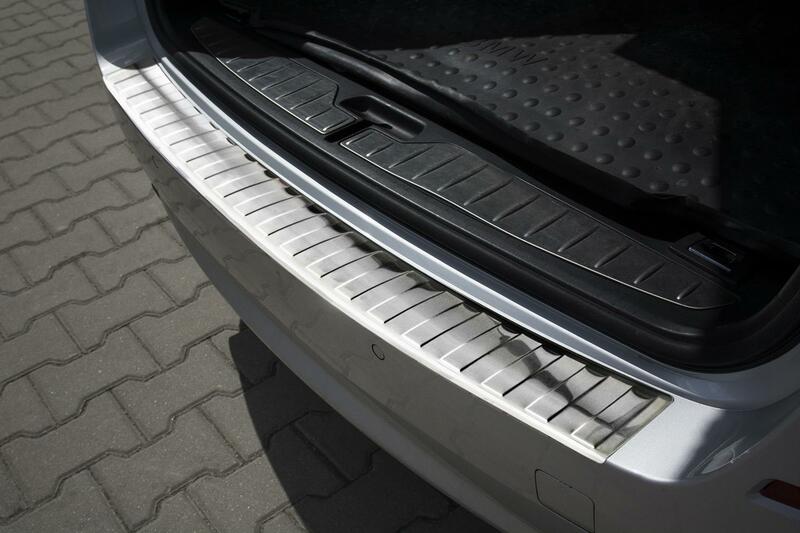 A bumper protector from Car Parts Expert protects your BMW 5 Series Touring (F11) effectively against dents and scratches during loading and unloading. Its shape, like the rib pattern on the surface, is made so that it perfectly matches the design of the BMW 5 Series Touring (F11). And if you ever want to replace the protector after intensive use, this is possible too. It will be a lot cheaper than repainting your bumper. This bumper protector is made of high quality V2A stainless steel and is supplied with complete assembly kit and clear installation instructions. Installation is very easy, because the product is equipped with firmly adhering double-sided tape.